The photo is taken at what is now the intersection of Main Street and the highway, in front of the Livingston's store. 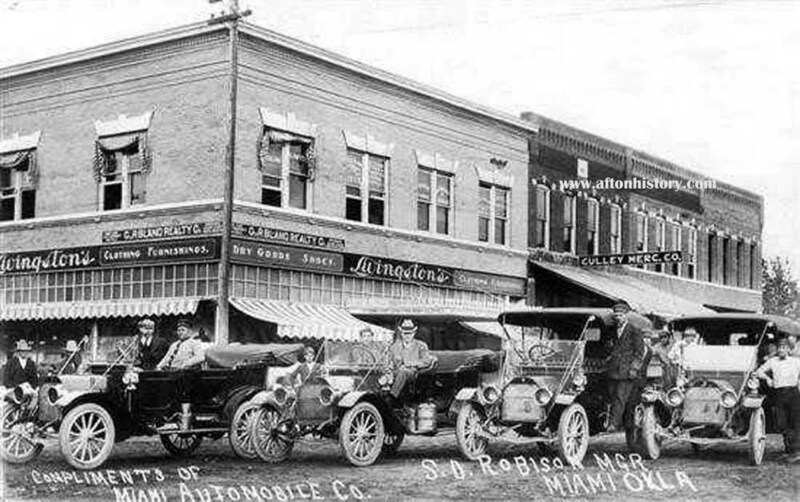 It is an advertisement piece for the Miami Automobile Company. painted on the windows in the second story of Livingston's.